Welcome to Lobster Inn Motor Lodge the one stop solution for all travellers. Catering for domestic/overseas tourists, corporate and wholesale markets. 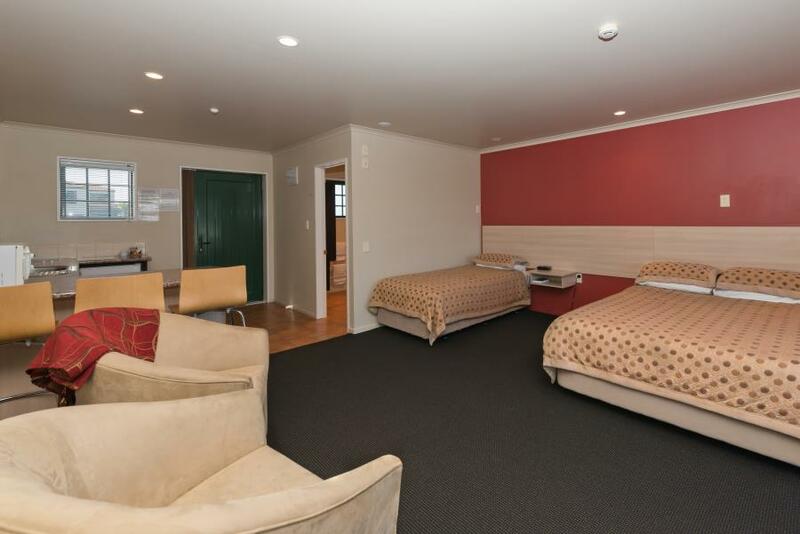 Our Kaikoura Motel accommodation overlooks the Kaikoura Township, coast and mountains. Located adjacent to New World and Kaikoura's new shopping complex, and an easy walk through to the cafe scene and novelty shops one kilometre away. We are beside the iconic Lobster that is on the restaurant next door to our Motel. Super king OR two single beds if preferred. Must prebook preference. Standard studio with tea/coffee & breakfast making facilities. Ensuite. Upper level. Parking at door. Standard studio with 2 x single beds. Ensuite. Tea/coffee & breakfast making facilities. Units located on upper and lower levels, parking at door on lower levels or upper level has parking to the front of the complex. Upper level located along enclosed corridor. Standard studio unit with Queen bed. Tea/coffee breakfast making facilities. Ensuite. Upper & lower units available, please specify at booking your preference and we will endeavour to oblige your request where possible. Lower units parking at door, upper units parking at front of complex - Upper units located along an enclosed hallway. Lovely spacious units facing out to Kaikoura Mountain Ranges and farmland. Queen bed and single bed all in same room. Kitchenette with breakfast bar. Unit opens onto own balcony area Ensuite with shower, toilet and vanity. Parking at your door. Super king bed plus a king single OR 3 x single beds if preferred (note this request must be made at booking and not on arrival) Large spacious open plan unit with kitchenette, dining area and lounge area in same space. Both upper and lower levels have shower cubicles. Please specify at time of booking your preference for upper or lower unit, we can not guarantee your request if unit has already been prebooked. Upper level units parking to the front of the complex - unit located along enclosed corridor. Lower level parking at your door. No stairs to climb for either unit. Spacious family unit with Kitchen, dining and lounge areas located in the same open plan area as the superking bed and 1 x single. A seperate bedroom with 2 x single beds off this area. Bathroom with shower on upper level, (upper level unit located along enclosed corridor - parking to the front of the complex) Lower level unit has wet floor shower only (an option also for wheelchair access) parking at door. Note no stairs to climb for either room option. Please specify at time of booking but be aware we may not always be able to allocate room if already booked. Lovely spacious units looking out to Kaikoura Mountain Ranges and farmland. 2 x sep bedrooms with super king and 2 x singles. Both rooms can either be prebooked as 2 x king beds or 4 x single beds by prior arrangement - not available on checkin. Kitchenette & breakfast bar, spacious lounge area opens onto own balcony Ensuite with shower, wc & vanity. Parking at door. 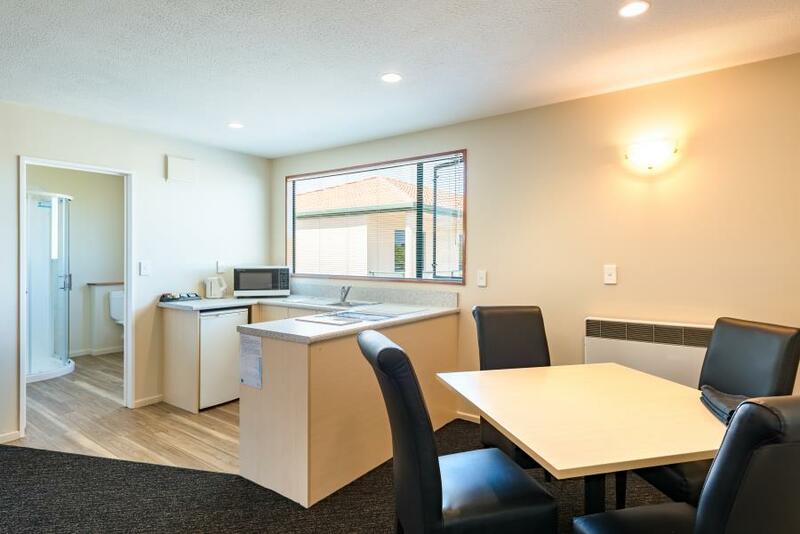 Quality modern accommodation offering studio, family-style motel units. Unique street-level access from both floors. Ample parking provided. Guest laundry on site. Warm, cosy units equipped with fridge, microwave, Freeview TV, DVD options, toiletries and hair-dryers. Studios with tea/coffee/breakfast facilities, suites and family units with kitchens. Free Wifi available. Whale Watching and Dolphins are notoriously what the people want to see and do when visiting Kaikoura. There are many scenic walks on offer, the most popular being the Peninsula walk which goes from the Seal Colony at Jimmy Armers Beach through to South Bay Reserve and offers a easy to moderate half day walk. Llama Trekking – guided half day walk offering free entry to Fyffe House, Marine Centre and Farm Park. Stay and explore all that Kaikoura has to offer. Whale and dolphin watching is very popular, but there are plenty of additional activities to do when the weather is not ideal to go out on the water. Play a round of golf, explore Kaikoura and the surrounding areas by foot or mountain bike or chill in one of the many cafes around the township. Located next to our motel is the independently run Lobster Inn Tavern restaurant. Call us today if you have a group travelling to Kaikoura. We have a range of rooms from Studio to 2 bedroom units. Nice clean warm comfy rooms, friendly reception staff. Showers are great. In room cooking facilities. Recommend for families.